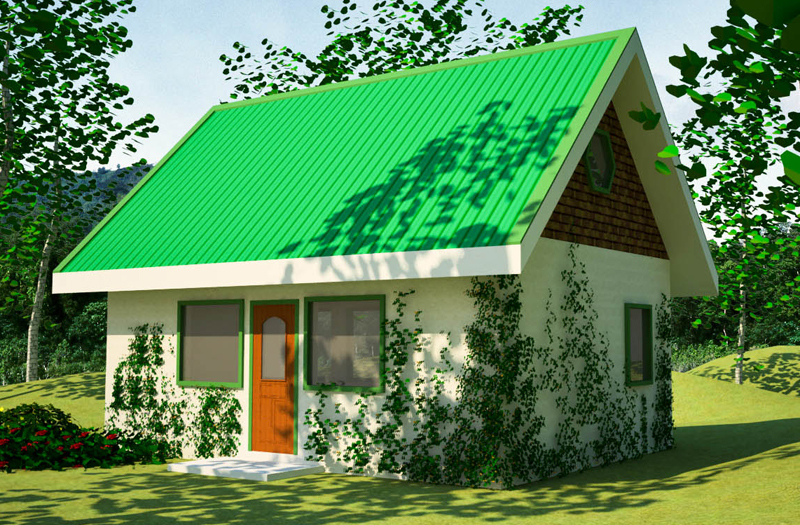 Description: A play on words, this tiny house has ‘green’ walls and optional living roof (not shown). Plant covered buildings are very practical, because they can save materials and finish work, reduce heating and cooling loads, oxygenate air around the building, as well as provide habitat for wildlife, buffer noise, etc. 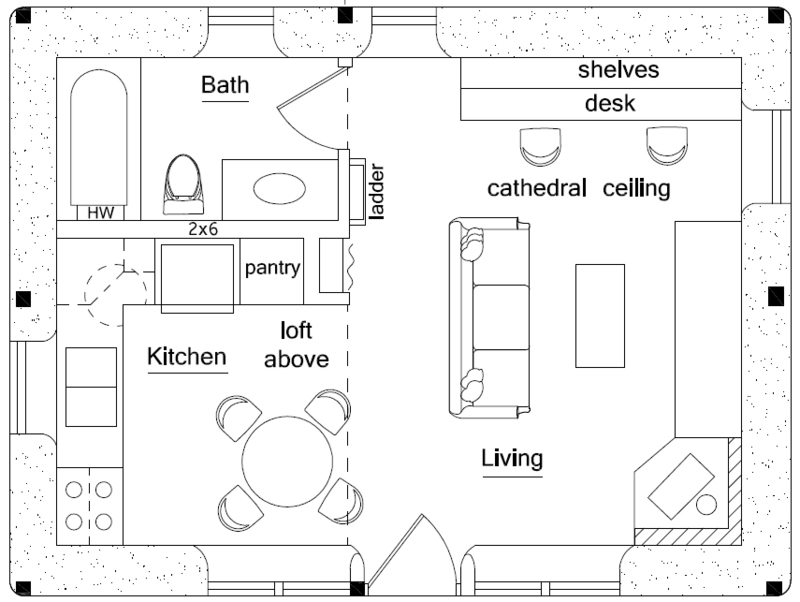 This house was designed for two university students who are concerned about the environment. Vines work well, or you could use the living wall system I am currently developing. Here is a prototype of my living walls. There are two main options: Loadbearing design (no posts), and post and beam.